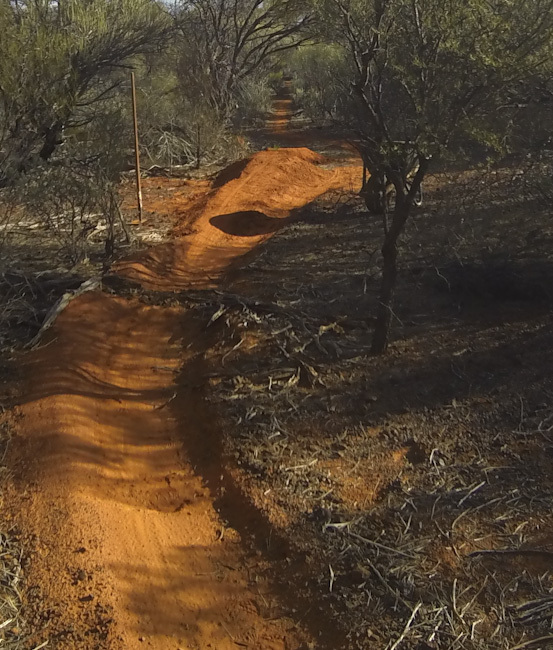 As some readers may already know I have been working away at constructing a fully featured dedicated mountain bike track at the Lake Giles exploration site. Most of the planning and building took place from late 2012 to mid 2013 using nothing but hand tools and recycled rainwater. 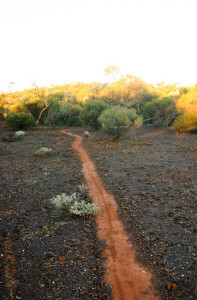 Located in the Yilgarn bush in Western Australia, this is not your local track! The nearest paved road is some 120km away, the nearest major town a good 250km away and Perth just shy of 700km from the trail. Isolated and wild would be the best way to describe the bushland here, but it also uniquely beautiful – this is no desert! While it may not be everyone’s idea of fun to go out in 40°+ heat to trim branches, dig dirt, sweep dust and move rocks around after a 11 hour+ shift on a drill rig for me it was more of a break-and-recharge than sitting around doing nothing and sulking about not getting any riding in while on site (which was a good two-thirds of my life back then). The decision and motivation was clear! What started out as a learning experience of how to build sustainable mountain bike trails mainly for myself turned into quite a popular project for the ten or so people working on site. Turns out it’s a good feeling when others enjoy, make use of and get excited about what you’ve built! All was going well and I was full of ideas on expanding and improving the trail when our employer decided most of us were not needed any more, slicing and dicing the team up and leaving a ghost camp site behind. The last two hundred metres or the trail were completed in a rather subdued fashion and felt quite pointless, but I had gotten so far it seemed a waste not to finish. Making this video was my way of showing the track itself and the beautifully wild surroundings, not a wild full speed MTB edit; so the pace is quite gentle although I ended up with so much content it was hard to squeeze it all into a sensible length video, so the cuts are quite short, mixed around and many have been dropped. 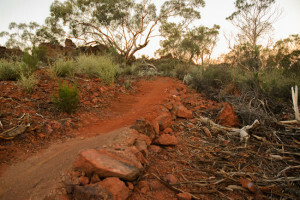 So take a look and experience what must be one of the remotest mountain bike trails around! 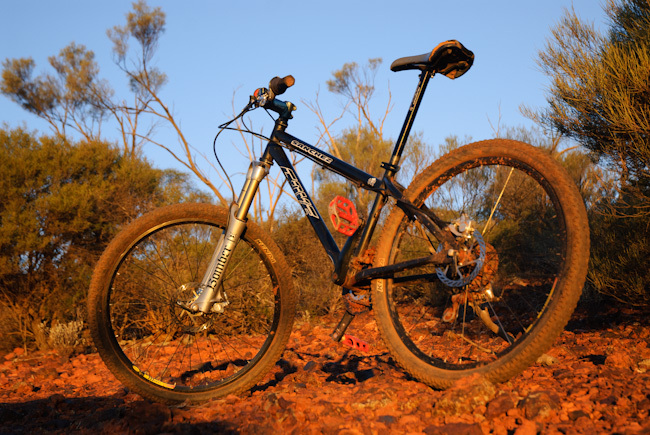 This entry was posted in Adventures, Biking, Videos by Nikolay Karakashov. Bookmark the permalink. Pleasure to watch. All the effort looks to be well worth it. Congratulations buddy!